Andrew Dale and apprentice jockey Josh Richards will team up with two chances at Wagga tomorrow. Lawton Joseph returns in the Benchmark 66 Handicap (1400m) after a four week freshen up while French Politician is set for the Benchmark 58 Handicap (1200m). Richards had a breakout 2017/18 season finishing as a co-winner of the apprentice title across the Southern District region. 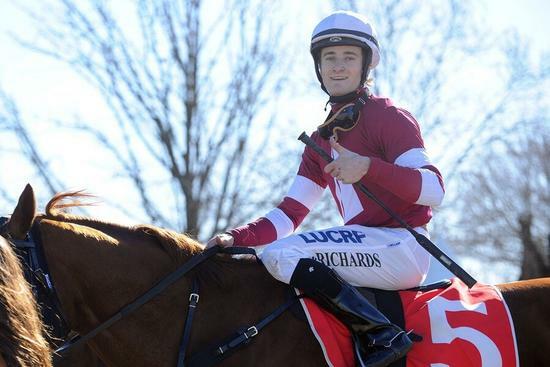 In 14 rides for Dale this season Richards has been successful on five occasions. Richards said he was looking forward to being back on both horses after guiding French Politician to a first up win in November and finishing second on Lawton Joseph at Albury on December 15. “It’s great to be riding Lawton Joseph in the apprentice race and I think he should run a good race,” Richards said. “It’s obviously a step up in grade for French Politician but he should produce another good run.